Annie and Cynthia embracing (photo by Micah David Naziri). The newlywed later wrote on Facebook, “I felt her body go from tense to soft and I asked her to please come inside with me.” With this small act of kindness Annie agreed to walk into the building that housed a culture and religion that she honestly believed she hated. Cynthia promised to stay by Annie’s side in the mosque to provide comfort and a guarantee of safety–an offer that was quickly deemed unnecessary the moment the two women stepped into the lobby and were welcomed with a grand applause. 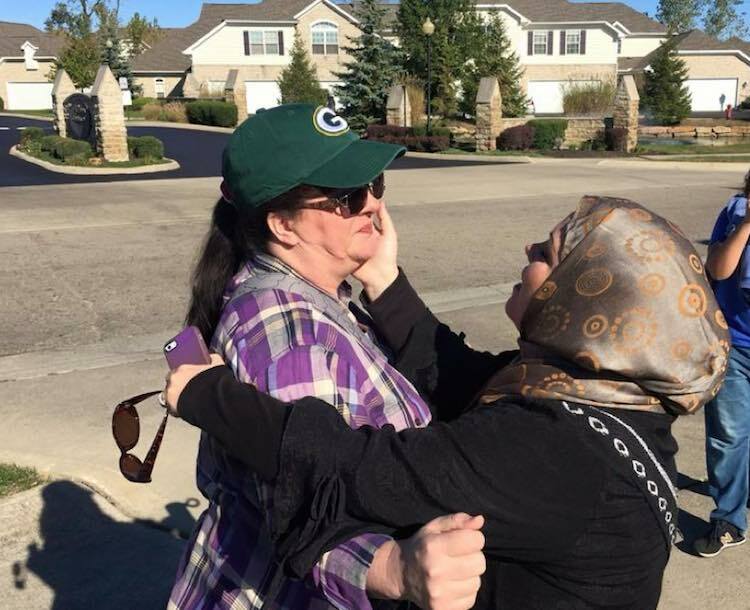 Comfortable with her new acquaintance, Annie confided in Cynthia the source of her beliefs regarding Islam --a friend from Turkey who told her terrible things about Islam, and Fox News. 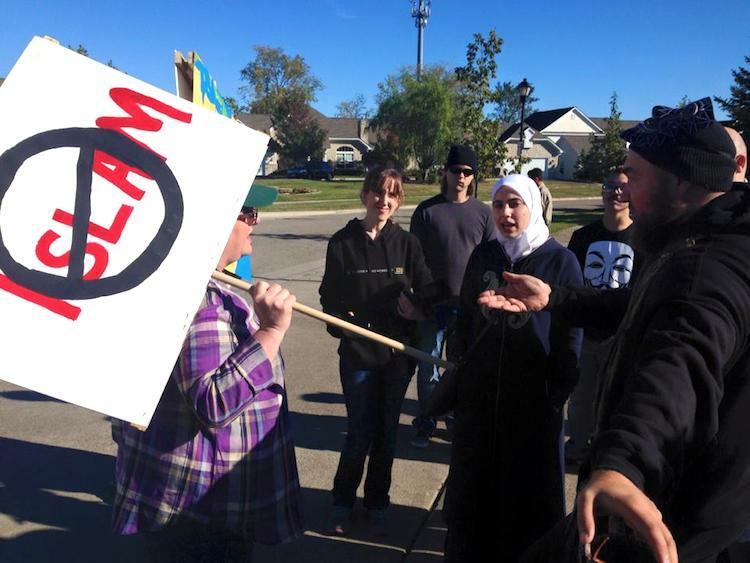 By the end of the tour, which included classrooms filled with children, and a glimpse of afternoon prayers in session, the protester began to ask her own questions that the president of the mosque answered enthusiastically. He also presented the Annie with an English Quran as a gift. Afterwards the two women were both enraptured by open discussions on topics from holy books to Jesus, miracles and more, for two hours. ​Cynthia gave her one last hug, and the protester left without her signs.